Thanks so much for the great pictures. I don&apos;t know how you were able to get such good pictures without a flash. Of course, I&apos;ve proved once again that I have really odd facial expressions when I preach. All that said, there are definitely a few shots that are great for what I&apos;m trying to do. 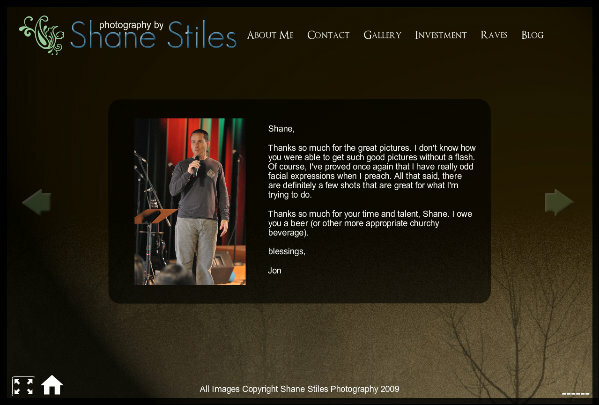 Thanks so much for your time and talent, Shane. I owe you a beer (or other more appropriate churchy beverage).